Having recorded half a dozen CDs with the Collective 4tet, Heinz Geisser is a household name with Leo Records. 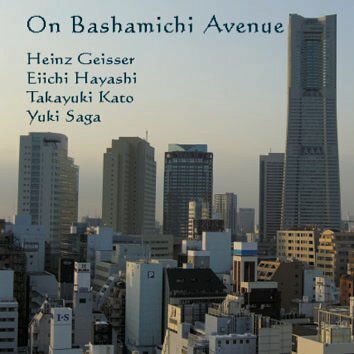 This time, however, the Swiss drummer leads a Japanese quartet featuring a legendary Japanese saxophonist Eiichi Hayashi. Recorded live at the Yokohama jazz club "Airegin", the quartet augmented by the electric guitarist Takayuki Kato and lyric-less voice of Yuki Saga flourish in an excitable and multidirectional improvisation. The quartet packs a vicious punch, yet more important, spawns a marvel of ingenuity.